The ultimate London hotel for £58 a night? 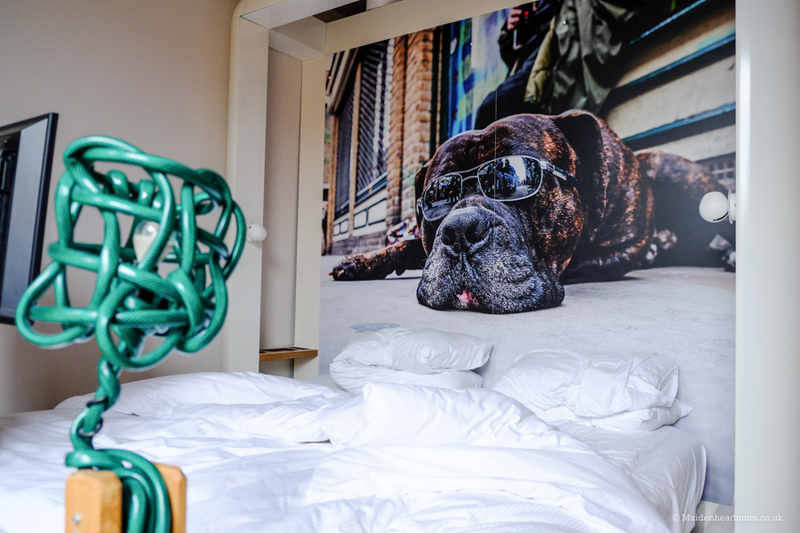 Qbic Hotel reviewed. 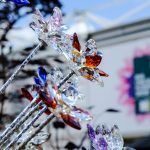 Although in Maidenhead we are very close to London, sometimes being able to stay overnight makes a theatre trip or birthday treat that little bit more special. 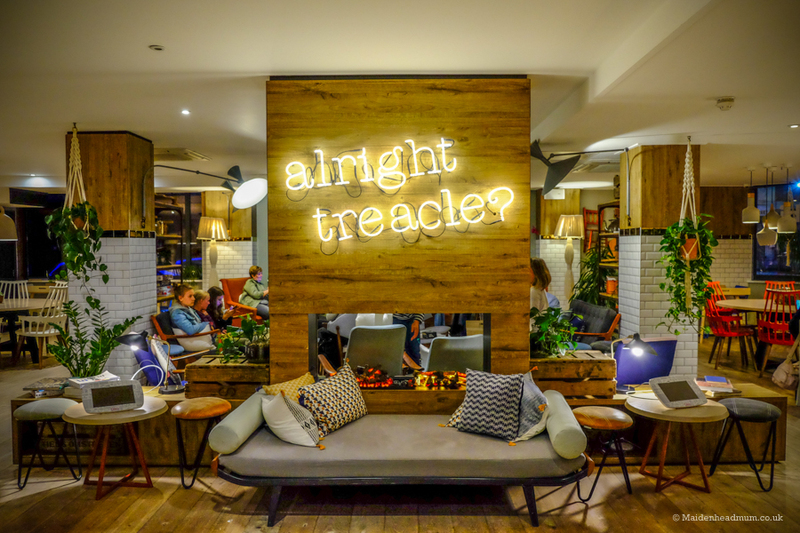 I stayed at the Qbic London city hotel last year and can confirm that not only is it London’s Greenest hotel, it’s also fun, quirky, luxurious and affordable. How rare a find is that?! 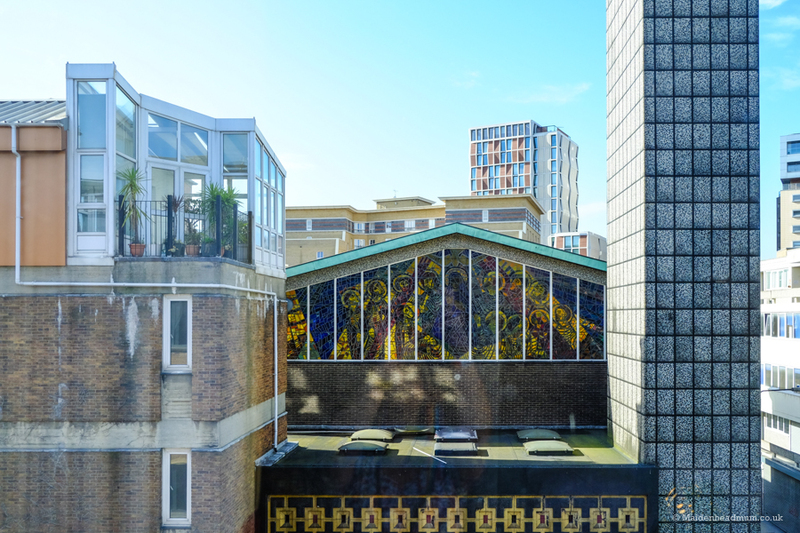 You’ll find the hotel in East London just a few minutes walk away from Aldgate East tube station which is on the Hammersmith and City and District line. 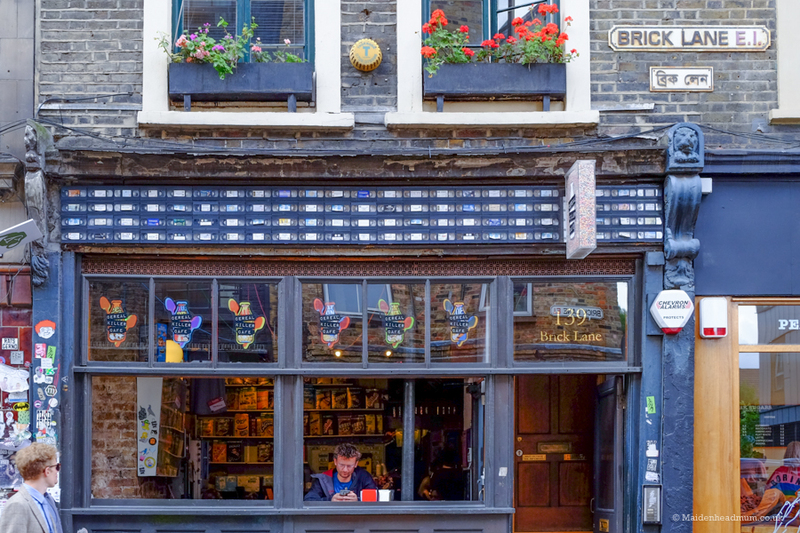 Brick Lane, Spitalfields and Shoreditch are close by, and while you may think these areas are merely a night time hipster hotspot, I urge you to explore them in the day too. 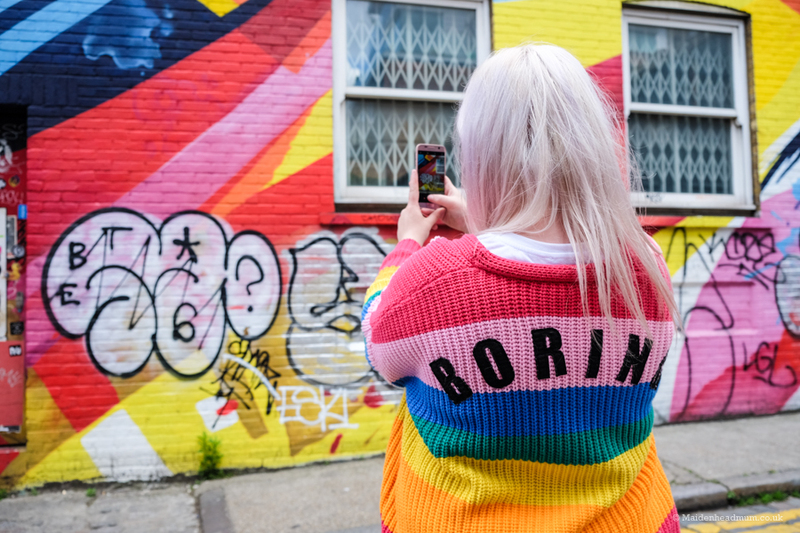 I explored Shoreditch and did a Photowalk looking at some of the iconic street art while I was at the Blogtacular event for bloggers and creatives in 2017. 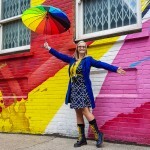 As well as finding a brightly coloured wall around every corner, you’ll also find some pretty amazing independent shops and cafes (my daughter would love the rainbow doughnut shop and cereal café that we found!). 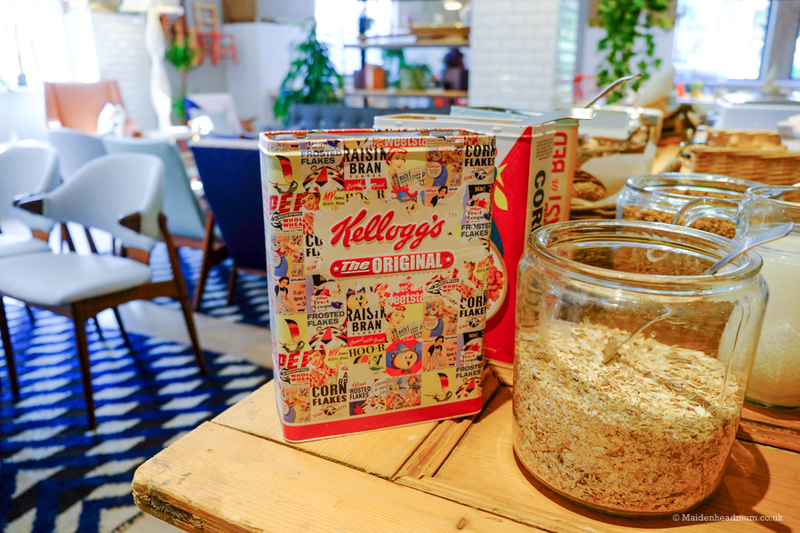 A cafe that sells EVERY type of cereal. My daughter would LOVE this! 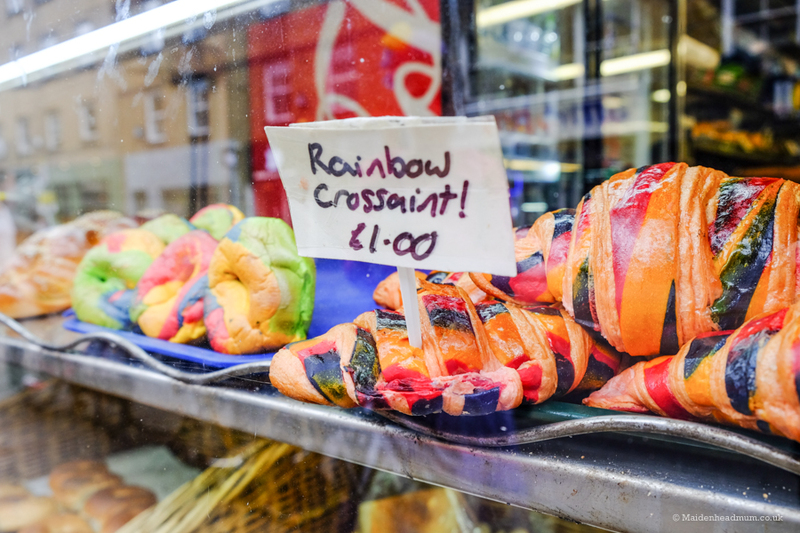 Just a few steps away I spotted rainbow croissants. Amazing. 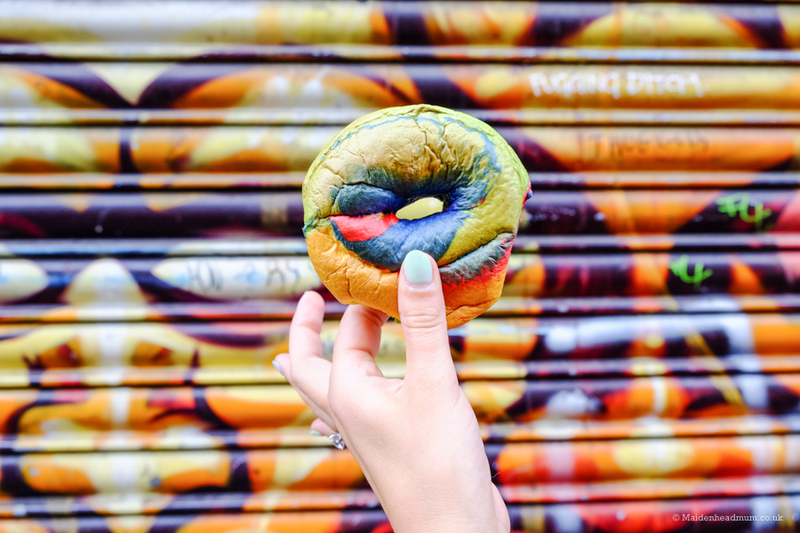 Not just rainbow croissants: rainbow bagels too! If you decide to explore when you stay at the Qbic Hotel, wear something bright. I bet you’ll find a wall to match eventually! 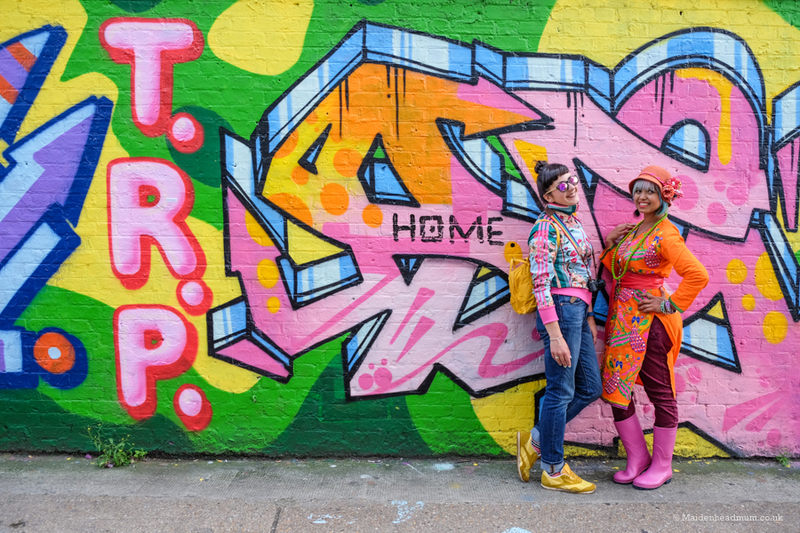 Shoreditch is full of graffiti walls. 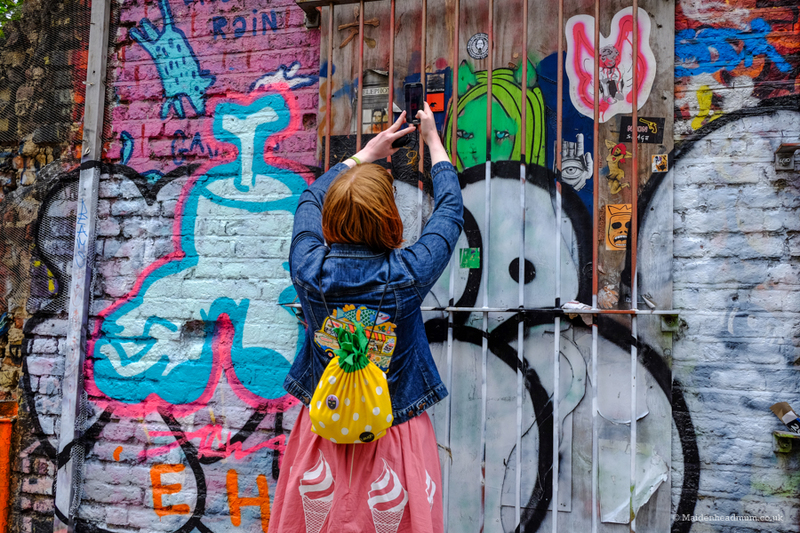 Bricklane and Shoreditch are popular areas with bloggers, photographers and creatives and are very close to the Qbic London City Hotel.. Loved this little message in the lift! I’ve stayed in a wide variety of hotels throughout my corporate life, but the Qbic Hotel is in a league of its own. There is a brand personality that drives EVERYTHING in the hotel. 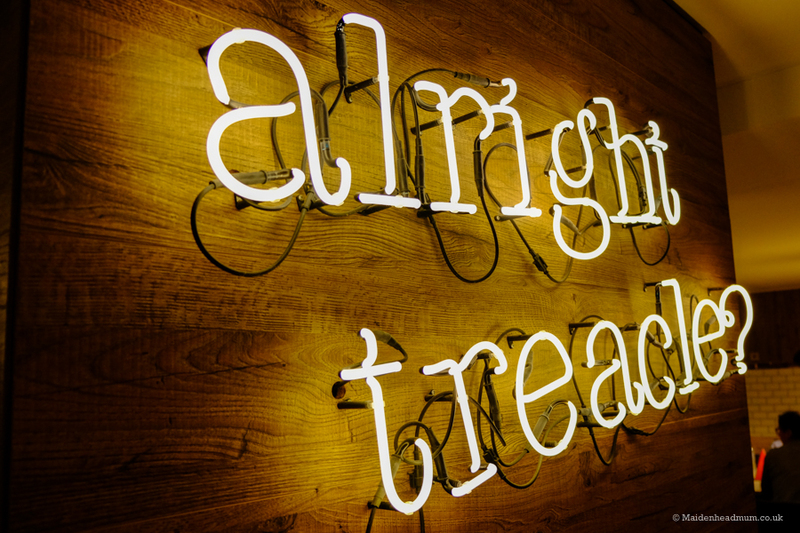 From the signs in the lift to the messages in your room, there is a continuous attention to detail and a commitment to design. It’s really fun and quirky, and there were so many things that caught my eye, I can imagine that children would love it too. 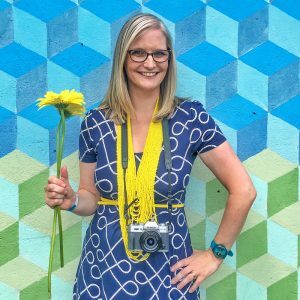 Totally Instagram friendly! 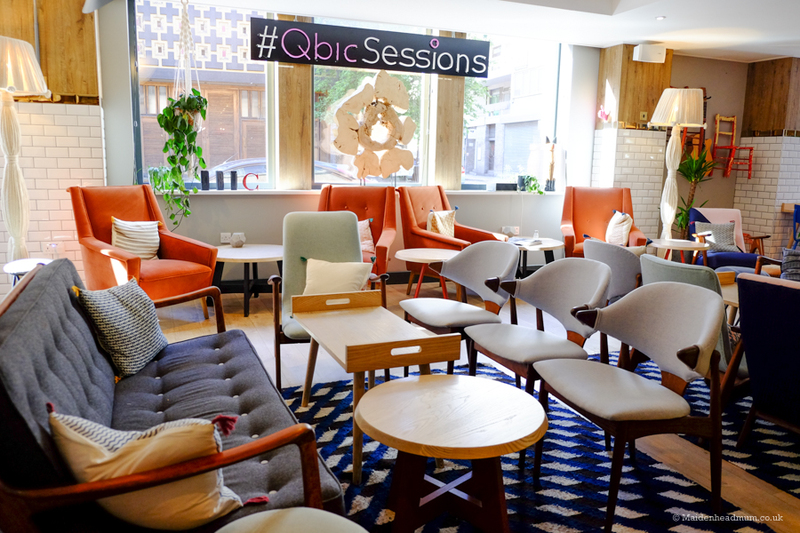 The ‘Common area’ at the Qbic is welcoming, and very Instagrammable! 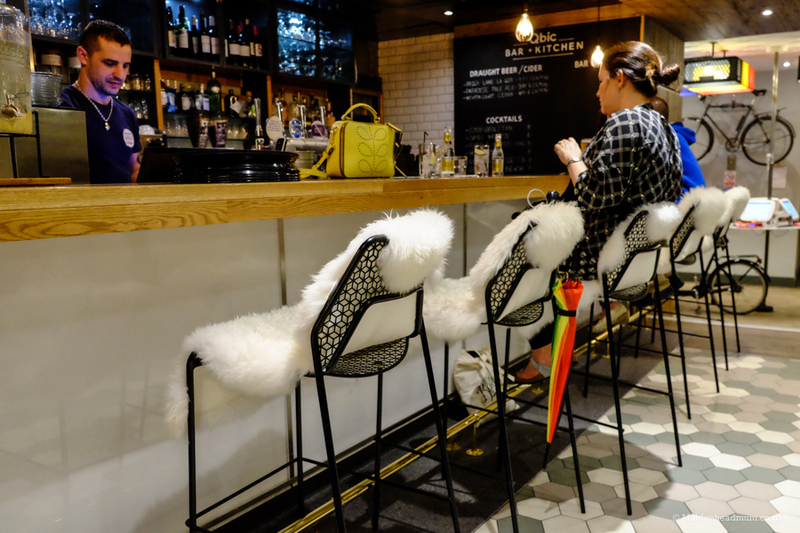 Check out the fluffy covers on the bar stools. Brilliant. 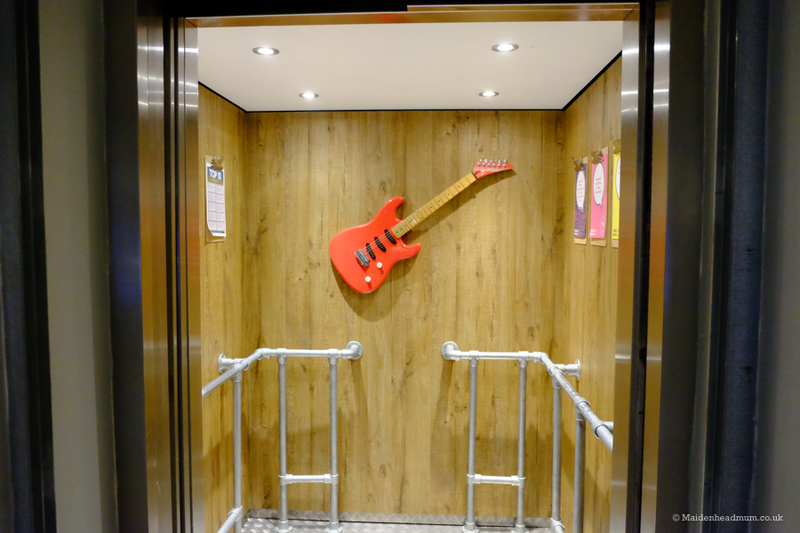 A guitar on the wall in the lift. Why not. More random items on the wall at the Qbic Hotel. 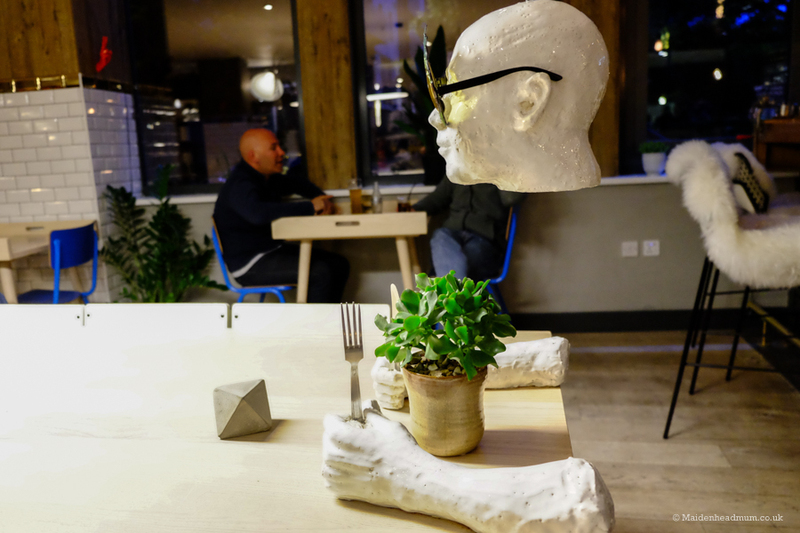 A floating head at one of the tables in the restaurant. 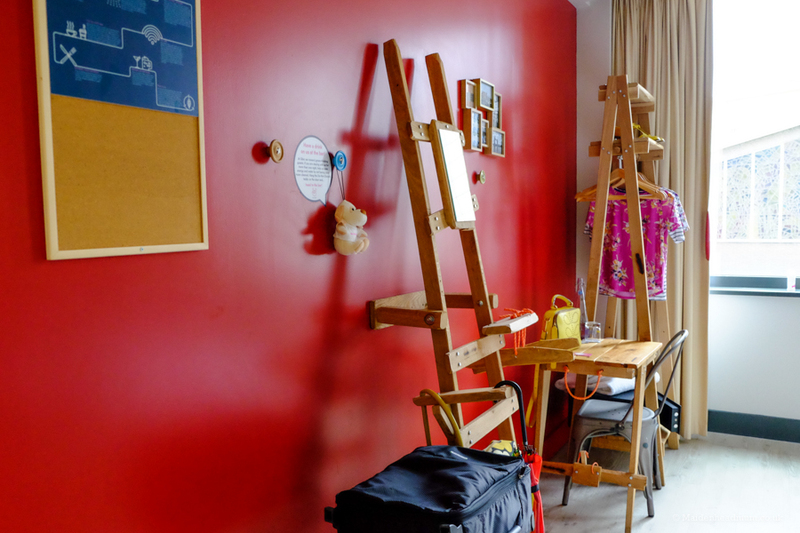 Little things like this would make a stay at the Qbic Hotel fun for kids. I don’t know why, but they gross me out so I always try to take slippers or flip flops because I don’t like the idea of walking on the carpet when I have wet feet after a shower. Plug sockets near the bed. Please don’t make me hunt around under the bed and behind furniture to find a socket! Old fashioned blankets, sheets and bed covers. Getting into bed and being pinned down by blankets and sheets seems incredibly old-fashioned, give me a duvet any day. I hate having to figure out the price of the water in the mini bar or whether I can drink the tap water when I’m thirsty in the middle of the night. I love it when hotels leave a drink in the room for staying guests. It should be free and readily available! Charging for access seems like a sneery bedroom tax. The Qbic hotel has figured all of these out! Every room is different at the Qbic. Mine had bold red walls in the room and a bright yellow bathroom. My room was spotlessly clean with a hardwood floor that was a pleasure to walk on in bare feet. 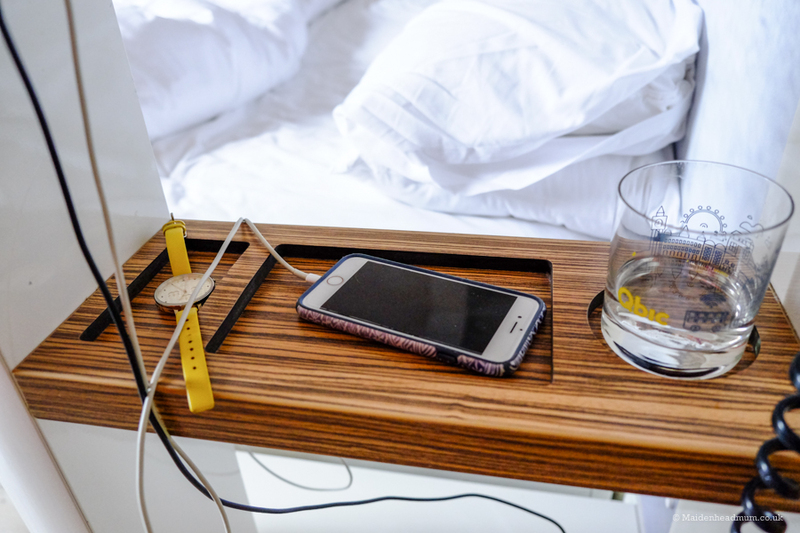 There was a handy shelf to charge my phone on right next to the bed, along with all of the light switches I may ever need in the middle of the night. Instead of blankets and bedspreads there was a big white scrunchy duvet to snuggle under. There was a bottle of filtered water available in my room, and free tea and coffee could be found on floors 1-4. As an bonus, if you are staying more than one night you can get a free drink at the bar downstairs by hanging your ‘do not disturb sign’ on the door, so your room isn’t cleaned. And the wifi was fast and free: yippee! 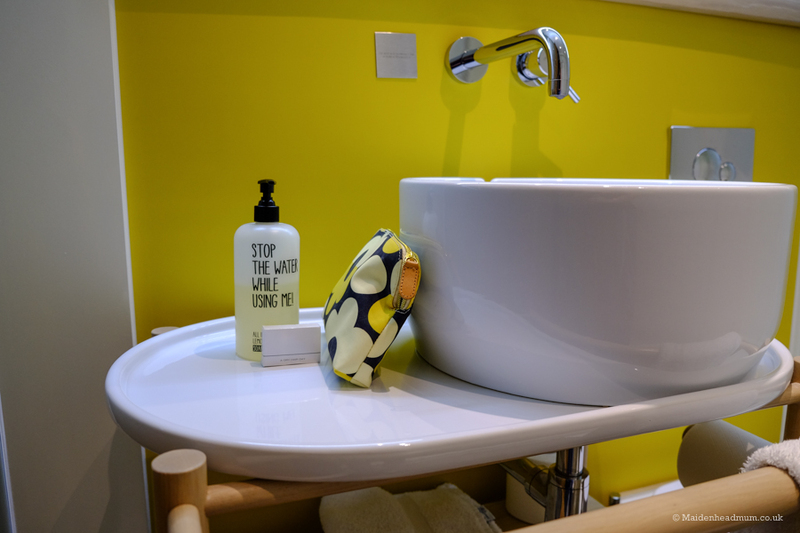 A bright yellow bathroom and eco friendly toiletries. No more icky hotel carpet! Yesss! 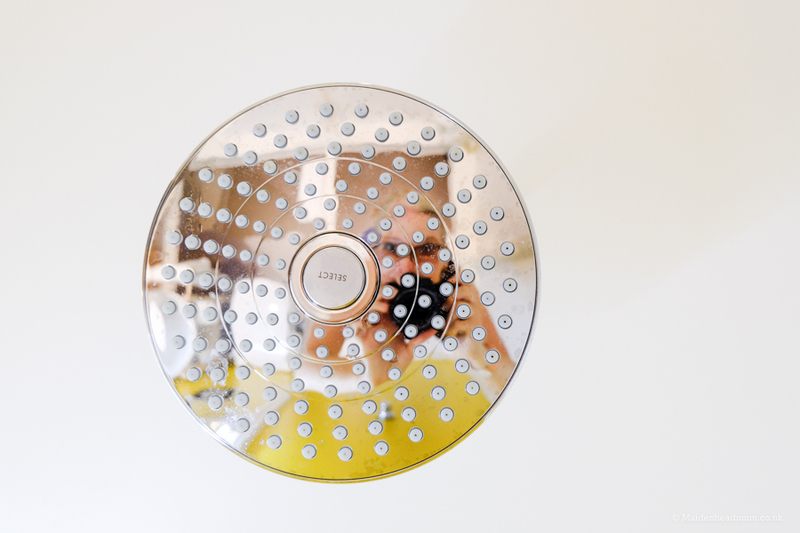 Every room has a ‘rain shower’ which cleverly mixes air into the water so you can have a great shower which is still eco friendly. I had a lovely big double duvet on my bed.. and a rather cool looking pooch keeping a watchful eye on me. Sockets near the bed. Result! The furniture and fittings are upcycled. 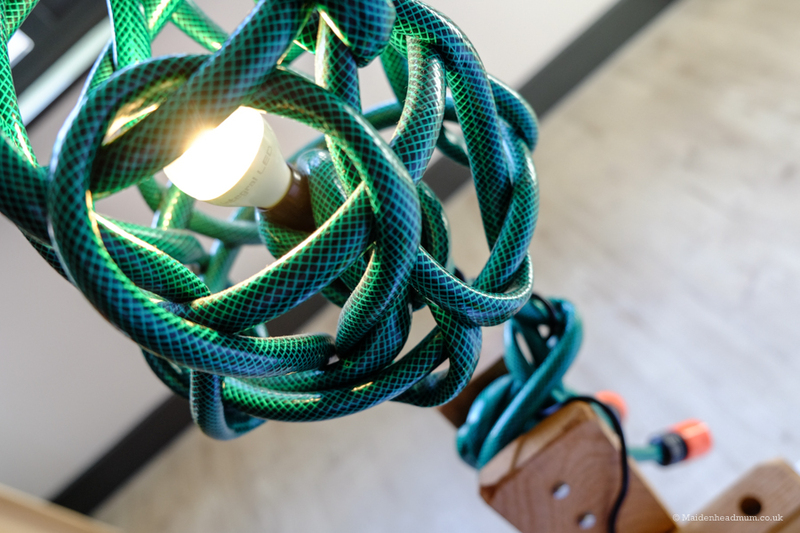 I’d never seen a lamp made from a hosepipe before. There are three levels of room to choose from: ‘Smart Room’ which has all of the design but without a window, ‘Cosy Room’ which has a double bed. Then there is ‘’Fun room’ which is a larger room with a double bed and a sofa bed which could host three adults or two adults and children. I booked a ‘Smart Room’, but when I arrived this was upgraded to a ‘Cosy Room’. My room completely exceeded my expectations, but I would feel confident that a windowless room would still be a great choice. 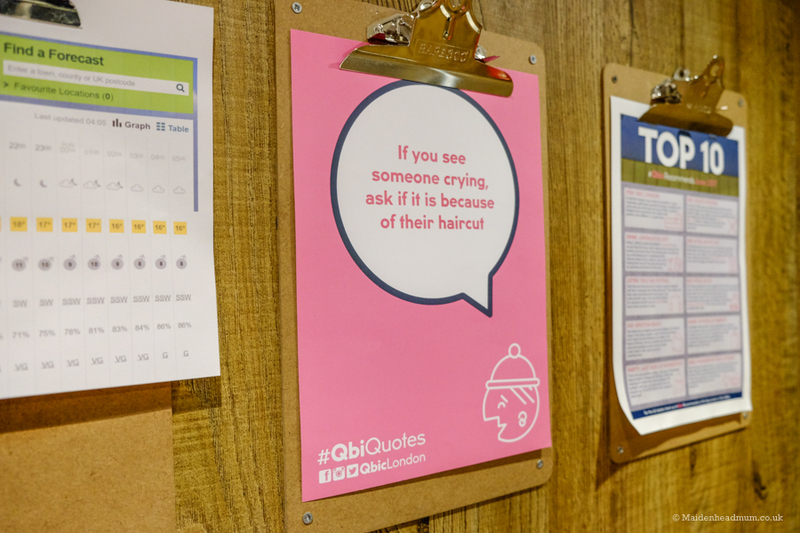 The room rates at the Qbic were the things that surprised me the most: I booked mine for £88 including breakfast, but their room rates currently start at just £58! Christmas Eve at the Qbic is currently on offer at £58. Signing up for their newsletter gives you a 15% discount when booked direct, or booking more than 30 days in advance will give you a 20% discount. 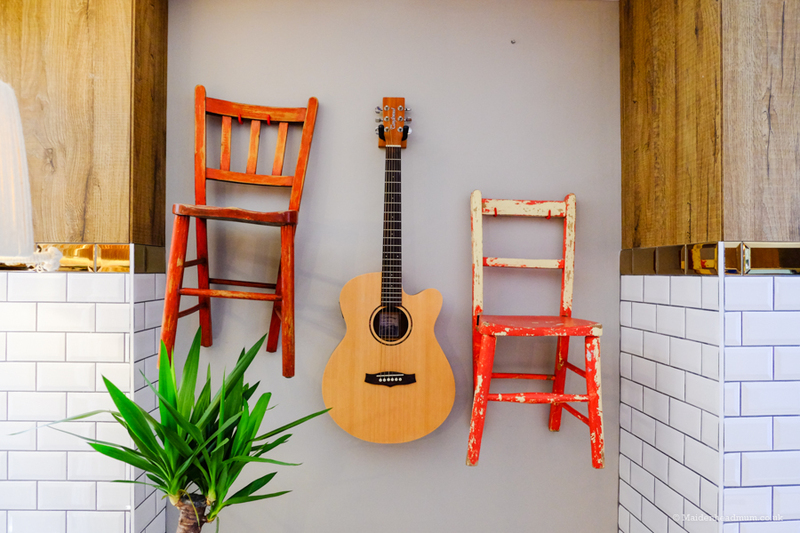 If you’re choosing your hotel before you commit to a date then I selecting ‘flexible with dates’ shows all of the prices which makes it even easy to get a bargain stay. 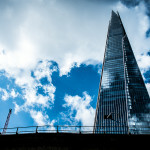 The view from my room at the Qbic London city hotel. 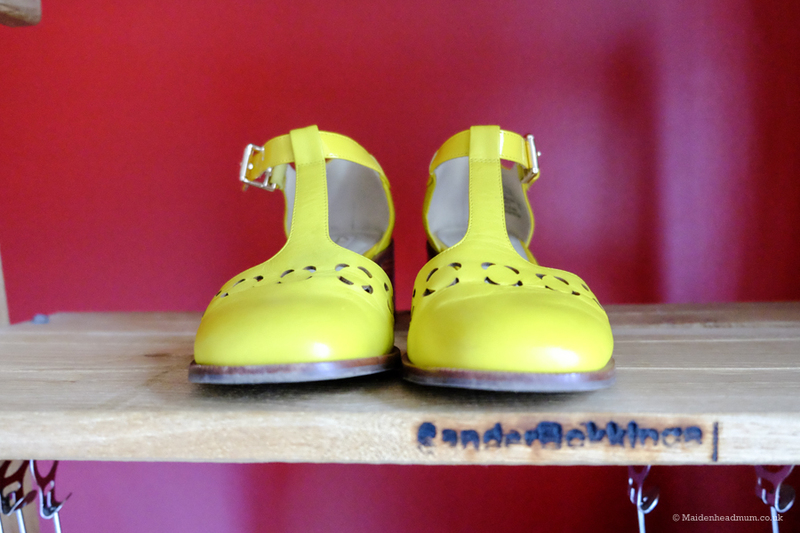 My shoes on an upcycled shelf in the room. This little quote was next to the sink in my bathroom. 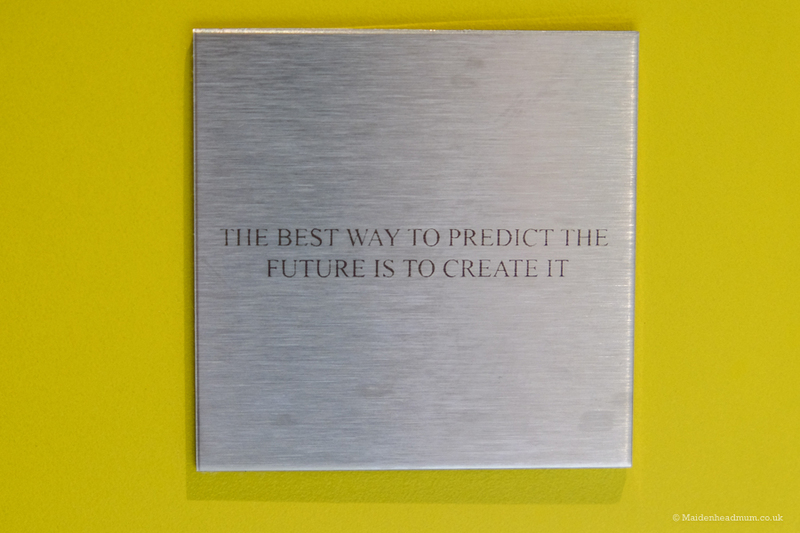 It seemed very apt considering I was off to a creative blogging event. I could probably add hotel breakfasts onto my ‘things I don’t like about staying in hotels’. They are often extortionately priced yet the food is usually pretty ‘meh’. I tend to fond a local café or diner and eat there. No need to worry at the Qbic though. 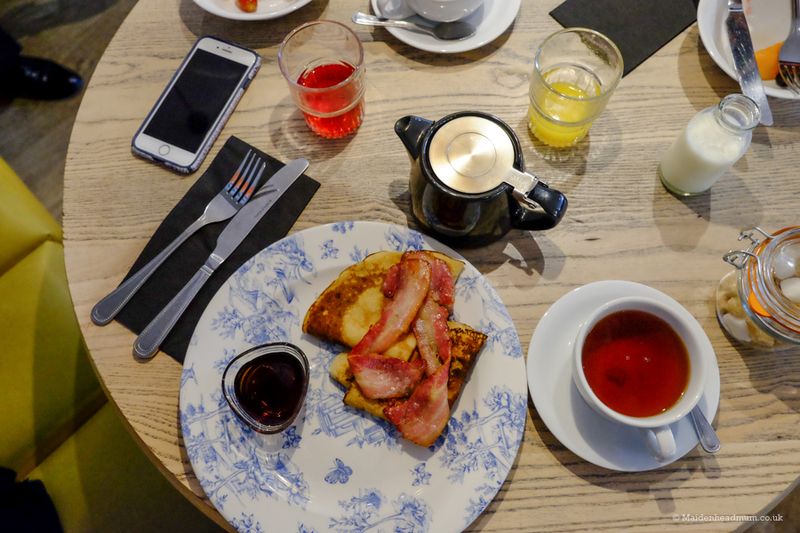 Their breakfast is £10 per person and you can choose freshly cooked items from the menu. The pancakes with bacon and maple syrup were amazing! 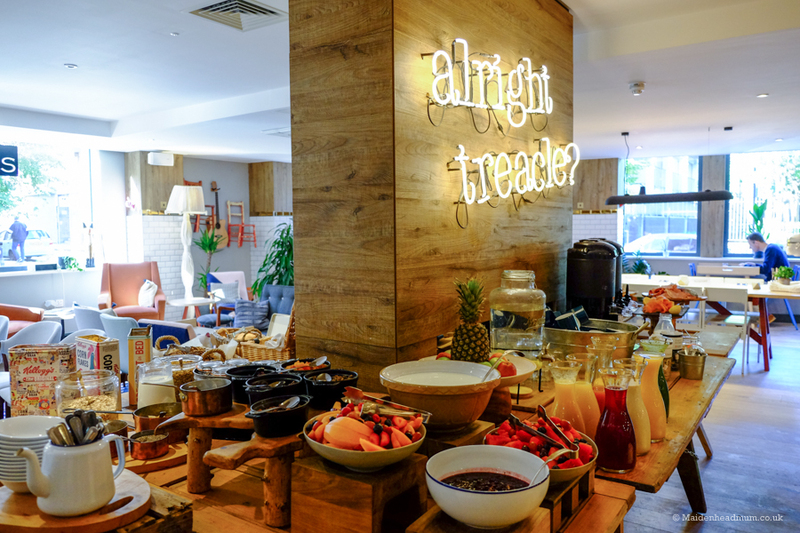 You could help yourself to a variety of cereals and fruit or order off the menu for breakfast. 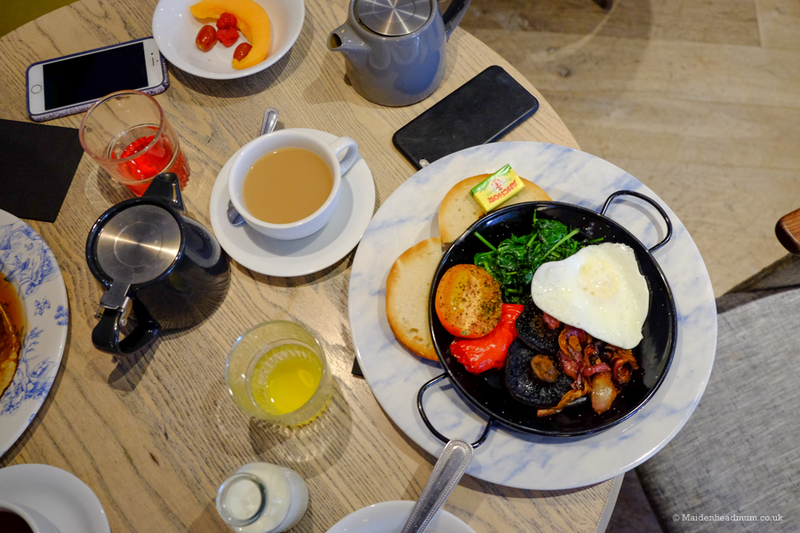 The vegetarian breakfast looked good too. Loving the retro packaging on these cereal tins. There was plenty of room to chill out over breakfast. I spotted two guys taking advantage of the free board games: how very cool! 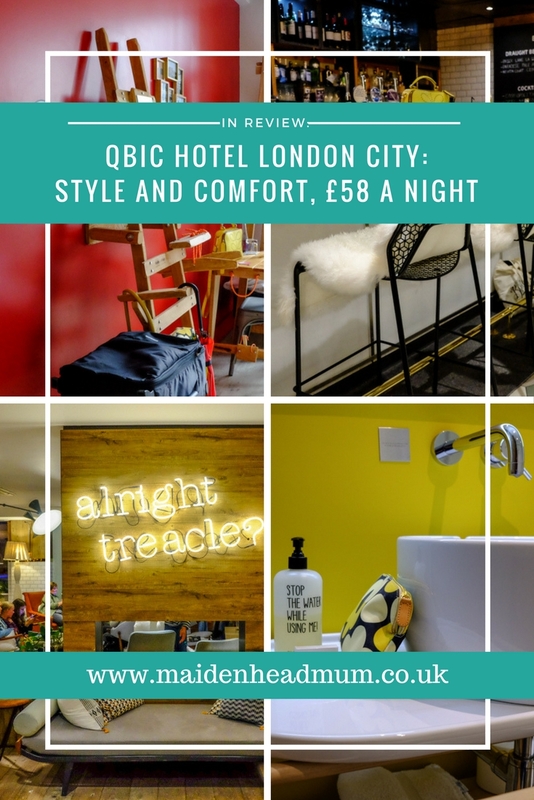 I started this post off with a pretty bold claim about the Qbic Hotel being my ultimate London hotel. It certainly ticks the boxes on style, location comfort and price. It would take something pretty special to beat all of that! I stayed at the Qbic hotel in June 2017 as a paying guest. The views expressed in this post are all genuine and true.